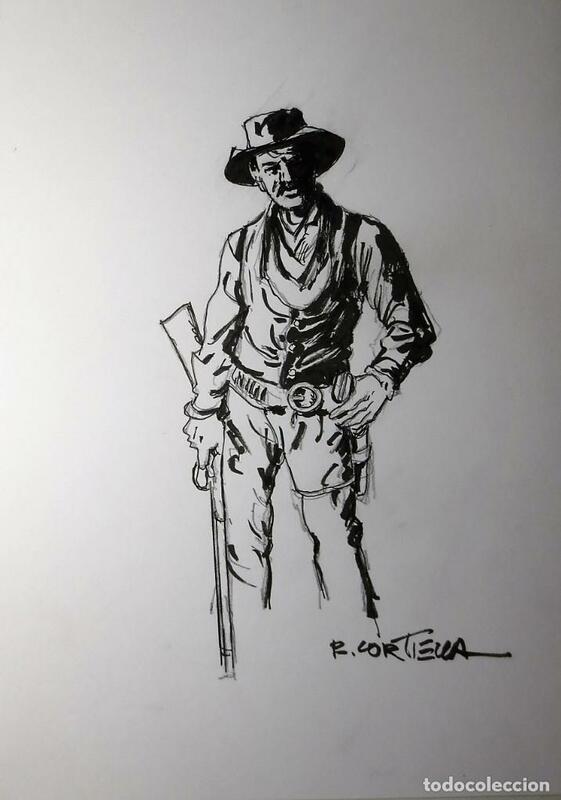 Rafael Cortiella es un ilustrador y pintor que trabajó en Bruguera y otras editoriales con la creación de un sinfín de ilustraciones para las portadas de los bolsilibros y novelas. También dibujó cómics, muchos con sus propios guiones, de ciencia ficción, terror, y romántico. Cortiella is a spanish illustrator and painter who worked in Bruguera, Selecciones Ilustradas and other publishing houses with the creation of endless illustrations for the covers of novels. He also drew comics, many with their own scripts, science fiction, horror, and romantic. And he was one of the first to draw the illustrations of the Madelman toy boxes. Hora oficial TC: 14:23:22 TR: 90 ms.